Video Camera (4K & HD) at Film Oxford is a one-day pro-camera course with professional TV/Film cameraman and lighting director Graham Reed. What is the Video Camera Course for? This course is aimed at those who have some experience of semi-pro/pro camcorders, but want create better images. It will give the participant greater understanding of the manual and menu functions common to all such cameras. 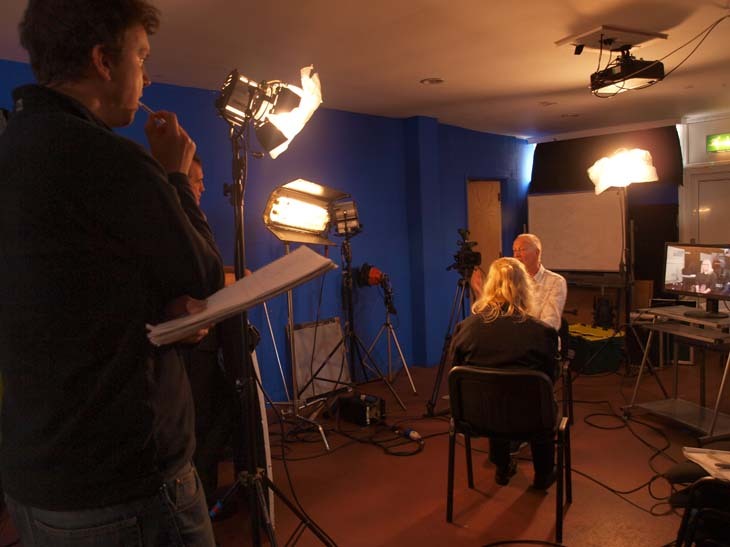 It is an ideal companion course to 1 Day lighting and Location Sound weekend courses. 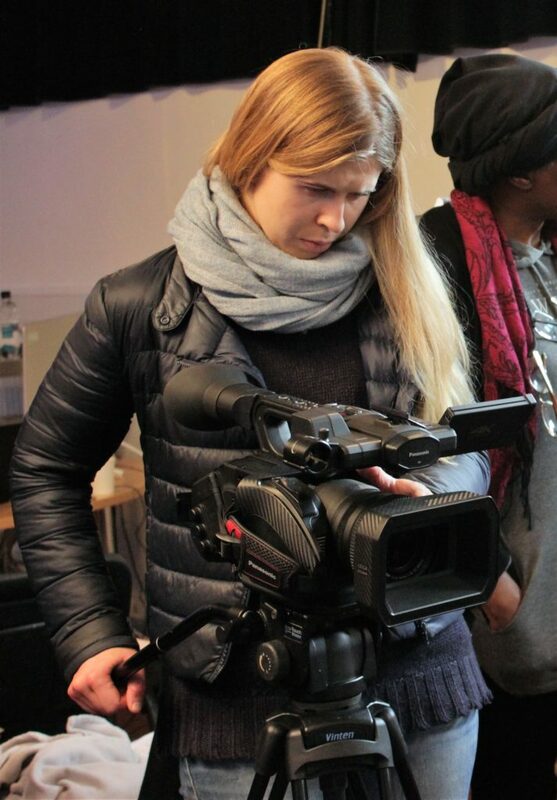 This course is aimed at people who have had experience of shooting on semi-pro/pro camcorders, eg. completed Shooting Video course. What will I learn on Video Camera Course? Participants will learn about the types of cameras and formats available and how to select the optimal settings and functions. Subjects covered include; which frame rate and recording system to use, how to use and set time code, compression, exposure and use of zebra, interlaced or progressive etc. 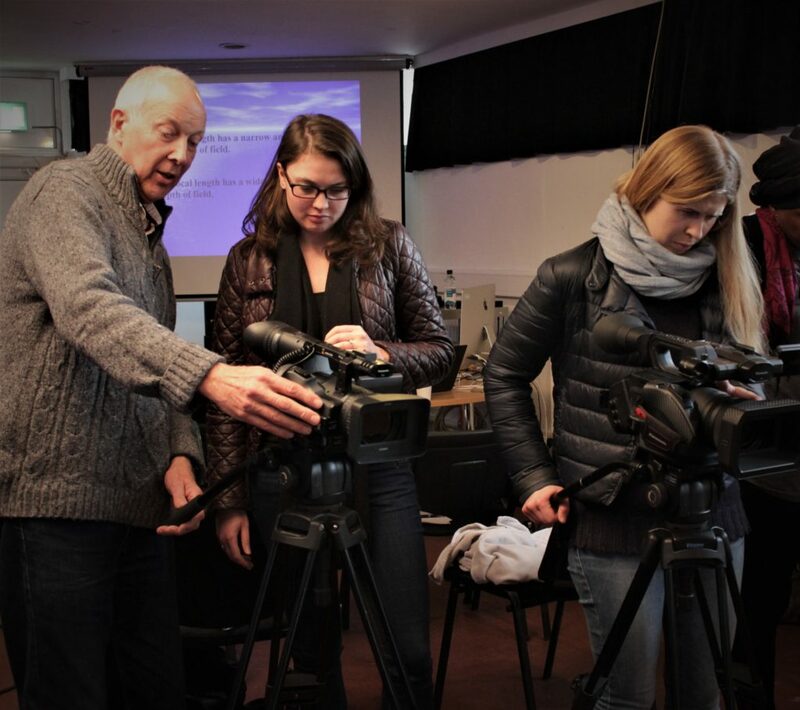 The course will use Film Oxford’s including Panasonic 4K AG-DVX200 and other HD cameras however the course will look at the commonality of all such cameras as it is important not to just learn one particular camera but be able to use any camera (participants are welcome to bring their own). This course can be taken on its own or in combination with our Lighting course, at a substantial discount. I now spend my working time as a Lighting Director, Lighting Cameraman, Cameraman, either in a studio, on location or on an OB. Because of my great experience and skills I easily change from planning large lighting rigs, as a Lighting Director, being Camera Supervisor on a multi-camera shoot to operating a single camera. 10:00 Workshop registration & introductions, followed by aims & objectives of course. 14:15 How to get better images? Exposure. How to expose correctly. Effect of image size on DoF. Effect of perspective and how to use it.